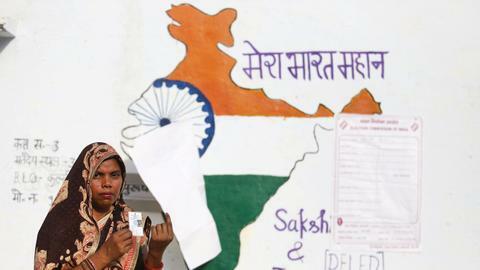 Battered by decades of communal violence and now the rise of right-wing Hindu supremacy, the 2019 general election offers some hope to India's largest religious minority. UTTAR PRADESH, INDIA –– When Mohammad Saleem went to cast his vote in Thursday's general election, the idea was to bring in New Delhi a federal government that prevents the lynching of Muslims in the name of cow protection, arrests of the community's youth over ‘concocted’ charges, and ultimately, a dignified life with justice. "All these are not possible under the current BJP [Bharatiya Janata Party] rule. Muslims dread the second term of this party," the 32-year-old told TRT World in a shabby colony of displaced Muslims in Shahpur village, which sprang up after riots between Hindu Jats (traditionally an agricultural community) and Muslims in 2013. Violence tore through Muzaffarnagar district that year, killing 65 people and bringing notoriety to this fertile sugarcane and wheat belt of western Uttar Pradesh (UP) state. Nearly all the victims of the riots were Muslims, with more than 40,000 people, including Saleem’s family, rendered temporarily homeless. The consequences of those riots came into sharp focus with a split electorate in 2014, in which Hindus largely voted for the right-wing BJP, led by strongman Prime Minister Narendra Modi, and Muslims for several other opposition parties. While the Muslim votes fragmented back then, the BJP cultivated support from the Hindu majority in the state, where it won 71 of 80 seats, wiping out regional contenders the Samajwadi Party (SP), Bahujan Samaj Party (BSP) and the Congress, and also winning the national election in a landslide. A state with a population of at least 200 million and extremely communally sensitive, UP carries significant political weight. Of all 15 Indian prime ministers since 1947, nine have come from UP. Modi is again contesting from Varanasi district of the state, a seat he won in 2014. 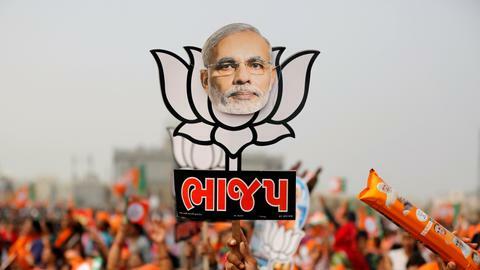 Five years later, Modi is still considered the frontrunner to win the election that began on April 11, but his Hindu nationalist party may fall short of the clear majority required to rule. The key reasons for this include alienating Muslims, farmers' distress, the stray cattle menace, joblessness, demonetisation, a sluggish economy, the resurgent opposition Congress, and above all a tripartite alliance of regional parties SP, BSP and Rashtriya Lok Dal (RLD) in UP state. The state, with complicated caste equations among the Hindu majority and a politically indispensable Muslim minority, sends more lawmakers to Indian parliament than any other state in the country. 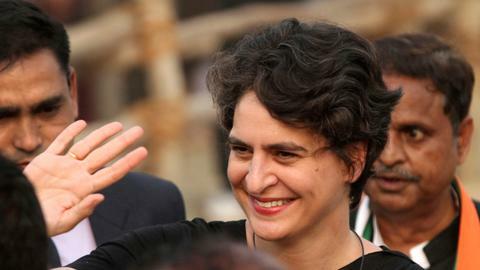 The party that wins in UP, leads or plays a key role in making the federal government in New Delhi. "To others it may be jobs and development but for us the election means justice. That's what we are voting for," said Muhammad Aftab, a 28-year-old driver, whose family was displaced from Kakda town during the communal frenzy in Muzaffarnagar. "When riots thawed we sold our properties to the same people who caused our displacement. Our house worth 20 lakhs ($28,949) was sold for a mere two lakhs ($2894). BJP leaders never visited us. They're clearly saying we don't want Muslim votes." "What do we [Muslims] do. You tell me?" asks Zaida, who gave her first name only, outside a polling station. "Modi has complicated our lives. First riots, then demonetisation, and now joblessness," she said. Critics have long accused BJP of creating an atmosphere of fear among India's Muslim minority by encouraging a Hindu-first agenda and targeting it for the slaughter of cows they consider sacred. Many BJP party leaders have not shied away from bashing their fellow Indians of Muslim faith, questioning their loyalty toward the country and threatening to move them to Muslim majority Pakistan if they did not toe their political line. The BJP however denies any bias against Muslims, who make up about 14 percent of India's population of 1.3 billion, and says it has only opposed the main opposition Congress for appeasing certain communities, including Muslims, to extract their votes. "We should be cautions when we vote," a senior member of India's All India Muslim Majlis-e-Mushawarat, a federation of various Muslim organisations in India, told TRT World, on condition of anonymity, fearing reprisals. "BJP's policy is assimilation and integration of Muslims into Hinduism. This is the only difference between Congress and other parties. Congress and others may not have stopped communal violence or ghettoisation of Indian Muslims, but at least they don't want us to become Hindus." BJP's canvassing may not work in 20 parliament seats in UP as a significant number of Muslims hold sway over them. But across India, of all the 543 constituencies, there are only 15 Muslim-majority constituencies. In these constituencies, the BJP has nominated Muslim candidates in six areas and the Congress in nine. 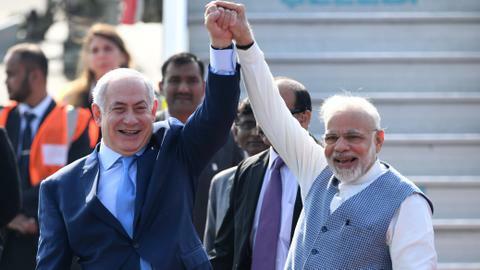 Observers say a leadership crisis and lack of communication with Hindus could continue to work against the interests of Indian Muslims. "Being a 'pro-Muslim' is a dangerous tag in today's Indian politics despite the fact that Indian Muslims are the poorest, most unemployed, and most underdeveloped community. The opposition parties have banked on minority votes without incorporating them into the mainstream politics," Omair Anas, who teaches international relations at Yildirim Beyazit University in Ankara, told TRT World. "Indian Muslims have been facing an acute political communication deficiency. Their leadership lacks the ability to communicate with the majority communities, in order to build up social alliances and harmony of interests. "It is not just the Congress party, but most of the parties in north India are caught in a trap of communalism. There is no other way other than using ballot for their safe and better future." One of the largest Islamic educational institutions in India, Darul Uloom Deoband, has in the past engaged itself in backing political parties and guiding Indian Muslims over which party to support. "It's helplessness you can say. BJP rules in centre as well as UP state both. These are testing times. So, we've decided not to meet any political leader who may try to woo Muslim voters, or comment on the party prospects and election," a Deoband official told TRT World on condition of anonymity. "Deoband is an educational institute, we don't want right-wing parties to confuse it with any political group." But Jamaat-e-Islami Hind, a religious and social organisation of Muslims with a strong network of members and scholars across India, has thrown its weight behind ‘secular parties’, urging its Muslim cadres to support the tripartite alliance and Congress in UP state against ‘sectarian and right-wing’ candidates. In recent years, several reports have painted a bleak picture of the status of Muslims in India. Be it the Justice Rajinder Sachar Committee set up by the Congress-led government in 2005, the Ranganath Mishra Commission on Linguistic and Religious minorities in 2009, Amitabh Kundu's Post-Sachar Evaluation Committee Report in 2014, the India Exclusion Report in 2013-14, they offer a glaring view of the stark marginalisation of Muslims. "The Kundu report was not even discussed by the current government," Manzoor Alam of All India Milli Council told TRT World. "Riots against Muslims based on hate have occurred since 1947, but in the last five years that hate has worsened and culminated into racial supremacy promoted by right-wingers," said Alam, who was part of the committee that produced the Post-Sachar Evaluation Committee Report. "That's why this election is crucial for Muslims. A tactical voting is needed. But unfortunately, secular parties seek sacrifices from Muslims without making a one themselves." Back in Muzaffarnagar, the riot victims and the majority Jat Hindus say they are trying to bury hatred and mend ties. "Jats are farmers and Muslims are labourers. The riots ruined our crops as Muslims refused to labour in our fields. But in turn, they also lost work. We quickly realised we are interdependent. So, this time we are not listening to those who tried to divide us in the last election," said Rajbir Singh, 65, a Hindu Jat in Muzaffarnagar's Kakda town. "We're trying to forget those riots too," said Saleem, a riot victim. "Politicians tried to divide us. But they don’t know Jats and Muslims in Muzaffarnagar are the two wagons of a train tied to a single engine –– brotherhood."